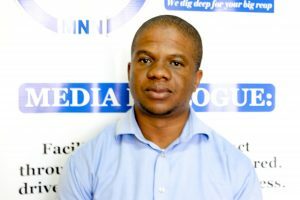 Mr Sechaba Mokhethi is founding partner and currently works as a Managing Director of MNN Centre for Investigative Journalism in Lesotho and a freelance journalist. He has worked as Political Journalist for Public Eye newspaper in Lesotho. He then moved to become Lesotho Correspondent for South Africa based African Independent and for The Southern Times situated in Namibia. He contributes stories for Good Governance Africa and IDN IndepthNews, a flagship of International Press Syndicate. He is also Deputy Secretary General for Media Institute of Southern Africa-Lesotho. Mokhethi is a holder of a BA degree in Political Science and Public Administration from National University of Lesotho.